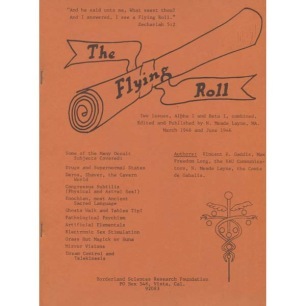 Reprint of Meade Laynes first magazine, "The Flying Roll", Two issues, Alpha I and Beta I, combined. Edited and published by N. Meade Layne, March 1946 and June 1946. 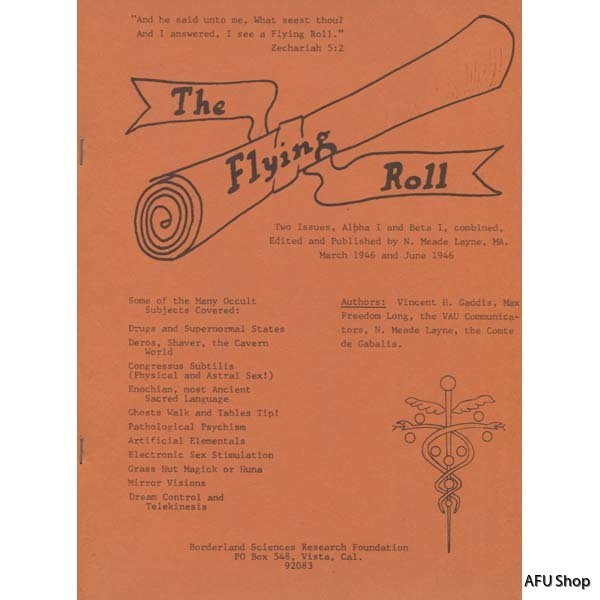 Material by Vincent H. Gaddis, Max Freedom Long, Meade Layne, and others. Reprint from 1971, Borderland Sciences Research Foundation, Vista, California. 61 pages, 8½x11 size, stapled.